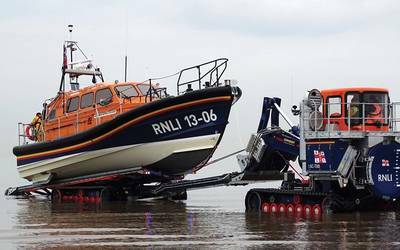 The largest and most complex maritime salvage operation ever carried out was concluded this summer. 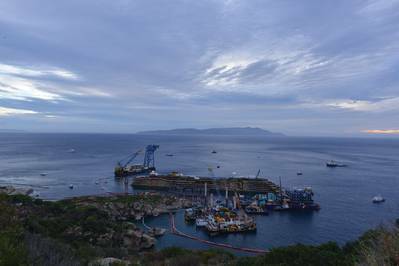 The Costa Concordia parbuckling operation on the rocks of the Italian island of Giglio has been a success in many ways—not least for the objective to retrieve in one piece, such a massive vessel (117,000 tons) with minimal damage to the delicate marine environment on which it foundered. High performance ropes with Dyneema played a key role in the operation. DSM Dyneema has been supplying UHMWPE fiber, branded as Dyneema for ropes used in tug and salvage operations for almost 15 years. Ropes made with Dyneema have been used to pull stricken ships stranded in shallow waters, as well as oil platforms damaged in hurricanes, to safety all around the world. But the Costa Concordia project was probably the company’s most critical—certainly its most high-profile—salvage project to date. Steel wire rope remains the most commonly used product in salvage operations, followed by polyester rope. High modulus polyethylene (HMPE), accounts for a small portion of the market, but its importance in critical and environmentally critical operations is being increasingly recognized. For the Costa Concordia salvage operation, Titan Salvage and Micoperi ruled out the use of steel because of the high risk of damage it would cause to the sea floor, and to reduce the total weight of the parbuckling system. Titan-Micoperi realized early on that any ropes required for the creation of the holdback system, to hold the wreck in place and then help bring it upright, would rub along the sea floor. As is well known, the Costa Concordia went aground in an area of great natural beauty where the underwater ecosystem is very precious. So it was imperative that any further damage to the ecosystem, beyond that caused by the ship itself running aground, be kept to a minimum. For this reason, the decision was made to go for a rope system that is not only extremely strong, but also very light and easy to handle. As Dyneema has neutral buoyancy in water, the ropes are easy to pull through the water by divers. Nick Sloane, the salvage master for the project, estimates that installation of the ropes, including pulling into position and connections at each end, saved around two weeks compared to if steel ropes had been used. During the installation process, the ropes with Dyneema did indeed not drag along the seabed as steel ropes would have done. Nevertheless, since they are in constant contact along much of their length with the hull of the ship, they need surface protection, which is why Dextron 12 Plus ropes with patented protective jackets from leading Norwegian rope maker Offshore and Trawl Supply (OTS) were chosen. “With this solution, the rope cores are kept safer, as is the local ecosystem,” said Sule. The covers for the Costa Concordia project contain a reflective additive so that they can easily be seen by divers working with torches in the dark. The Costa Concordia operation provided OTS with its largest single order. For the Costa Concordia project, core and jacket are made in two different grades of Dyneema. In all, there were 22 Dextron 12 Plus ropes holding the Costa Concordia, two running from each of the 11 towers mounted on the sea floor along the starboard (shore-side) side of the ship and connecting to chains that run under the hull and which are attached to the far (port) side. All the ropes have the same diameter, but each has a different length, of between 40 and 55m. This may sound relatively simple, it is not. The mechanism in each tower for pulling the ropes during the parbuckling operation does not involve winding the ropes around a mandrel, but rather a long hydraulic cylinder exerting a pull in a single stroke. This means that there was no room for any slack in the ropes to be taken up. Furthermore, since the ropes were to be loaded for a prolonged period of time, creep had to be considered. Creep is a phenomenon that occurs very slowly, but in the Costa Concordia salvage operation creep was going to be measurable over the several months that the ropes were holding the ship in place, and so it needed to be calculated in advance. Even though creep is a well-known phenomenon, it is complex to predict, since it depends on multiple parameters. However, DSM Dyneema has developed a model that can accurately predict this irreversible elongation over the period of the salvage operation. Marc Eijssen, Senior Application Manager, Offshore & Industrial at DSM Dyneema, said the company carried out a series of creep evaluations using its in-house model to predict creep under a variety of load and temperature scenarios. Based on these models, Titan-Micoperi and OTS were able to calculate the exact length needed for each rope. As is clear to see, the model proved accurate, and the parbuckling operation went exactly according to plan. As already indicated, safeguarding the subsea environment was crucial to the total salvage operation. Said Eijssen, “Titan-Micoperi had originally considered constructing the holdback system using steel rope, despite its weight and handling disadvantages, and when its people saw early concepts from OTS based on Dyneema, they weren’t convinced that a Dyneema solution would work. But following discussions with OTS at a salvage conference, they became convinced that ropes with a patented protective cover to protect the load-bearing core were the way to go.” At this point, OTS informed Nick Sloane that DSM Dyneema were ready and willing to provide full support for the project. Sloane has in fact worked with ropes made with Dyneema for over 10 years. After the parbuckling phase was completed, the ropes were kept attached to the wreck to hold it in position while sponsons were attached to the starboard side before it is refloated and then removed from Giglio.